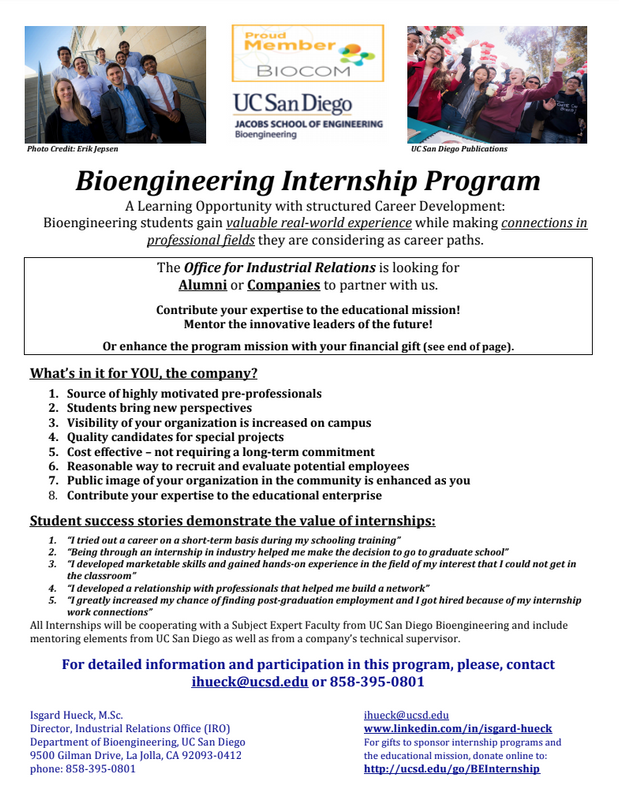 UC San Diego Bioengineering students are encouraged to take part in internships during their junior and senior years. Students gain valuable personal insight into the diverse areas bioengineering concepts and principles can be applied. While searching and applying for internships, students become more prepared to enter their field of choice upon graduation. To check out information re: any current company postings of available academic internships, please visit our web site at http://be.ucsd.edu/internships-1. 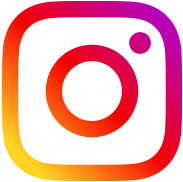 UC San Diego Bioengineering students are also encouraged to post their resumes to the site to receive notifications of internship opportunities from industry. For inquiries please contact Isgard Hueck at ihueck@ucsd.edu or 858-395-0801.